I sit in the lecture hall with 10,000 others waiting for my new teacher to speak. I look at my cell phone and silently groan that this in going to be a long hour; as long an hour as an hour can be as is typically the case when I listen to a lecture. She begins, “Let me tell you about Uncle Willie.” I take a deep breath of relief and settle in to hear her story. I came at the age of three to Grandma and my Uncle Willie in this little town in Arkansas. Uncle Willie was paralyzed on the right side. My grandmother and Uncle Willie owned a little store in town, and they needed me and my brother to work in the store. So Momma taught me to read and write, and my Uncle Willie taught me to do my times tables. He used to grab me by my clothes and hold me in front of a potbelly stove, and with a slur attendant to his condition, he’d say, “Now, Sister, I want you to do your foursies, your sevensies, your ninesies.” I learned my times tables so exquisitely even now, 60 years later, if I’m awakened after an evening of copious libation and told, “Do your twelvsies,” I’ve got my twelvsies. I was so sure that if I didn’t learn, my Uncle Willie would grab me, open the potbelly stove, throw me in, and close the door. Of course, I found that he was so tenderhearted he wouldn’t kill a fly. One day my Uncle Willie died, and I went to Little Rock where I was met by one of America’s great rainbows in the clouds, the black lady who led the children into the high school in the late fifties in Little Rock. She met me and said, “There is somebody who is dying to meet you.” She introduced me to this handsome black man in a three-piece suit. Then I knew he was talking about Uncle Willie. I look back at Uncle Willie, that crippled, black man in the South where lynching was the disorder of the day, I have no idea the range of his influence. But I know that when it looked for me like the sun wasn’t going to shine anymore, God put “a rainbow in the clouds” in the form of Uncle Willie. I tell you my stories not to brag but to tell you about all of rainbows in my clouds. You are the rainbows in somebody’s cloud.
. . . Maya Angelou tells the 10,000 educators who sat at her feet at the recent ASCD conference. I exaggerated at the beginning about the expected boredom. This would have been the case if the speaker started to lecture to me. I knew Dr, Angelou would tell us stories and read us poetry. She is a master of storytelling, poetry, speaking, and teaching; and the energy in the room was palatable as she spoke to us. I am a strong advocate against the use of lecturing for teaching which I discuss in detail in Who Would Choose a Lecture as Their Primary Mode of Learning? This does not mean I am against an educator standing in front of a group of learners to give procedural directions or to tell a story to teach a concept. I have been challenged by colleagues because I really like TED talks but many of the best TED talks tell a story. One of the most popular Ted talks of all time was Jill Bolte Taylor’s stroke of insight who told the story of her stroke and insights about the brain due to her her stroke. So what is it that makes stories such powerful teaching? What follows is a graph of a student’s brain activity during a given week. The student’s brain activity, the electrodermal activity, is nearly flat-lined during classes. Note that the activity is higher during sleep than during class. So what happens to the brain when being told a story? Inspires purposeful talking, and not just about the story — there are many games you can play. Raises the enthusiasm for reading texts to find stories, reread them, etc. Initiates writing because children will quickly want to write stories and tell them. Enhances the community in the room. Really engages the boys who love the acting. Is enjoyed by children from kindergarten to the end of elementary school. Gives a motivating reason for English-language learners to speak and write English. « If We Expect Educators to . . .
“Storytelling is the most powerful way to put ideas into the world today.” Please be careful with the ‘ideas’. Thank you. That was a lovely Maya Angelou story, and a great lesson about the power of story telling. I loved this! I only wish more professors and teachers would use this method instead of simply spewing facts and information. I loved the use of the graph to illustrate just how powerful storytelling can be in terms of activating the different parts of the mind. This how I came to love my Khmer Literature teacher back in high school; she told stories and planted moving images in my head which pretty much have stayed there and I’m sure it’s going to stay there for quite a long time. Great piece. It reminds me of some of Joseph Campbell’s insights about myth. thankyou.. quite insightful.. and the links are very relevant too! Thanks for this post. I will definitely do this in my class. Great lesson. Thank you very much for sharing this. This is both wonderful and fascinating, thank you! It was a pleasure to read this. Actually few scientists did some research and found out then each day our brain can assimilate only 3 hours of new data. With this, students classes lasting a few hours a day become pointless. But yet stories are more effective than long lectures. Fantastic article – may I reblog on traceybenson.com – will link back and attribute? I love this. As a student, I cant tell you how many times Ive had to wake myself up or attempt to focus on a subject I LOVE because the teacher drones on in a lecture type format. Even the best things are horrendous in lecture. Love the point about stories and facts. As well as ” They are the currency of human contact.” It was absolutely correct in my opinion. Great post by educator Jackie Gerstein on the difference between lecturing and storytelling https://usergeneratededucation.wordpress.com/2013/03/20/storytelling-is-not-lecturing-lecturing-is-not-storytelling/. Reblogged with permission. This is amazing work! great choice of topic! I reread it like four times! Looking forward for more work! I agree. As a history teacher, I try to get the students to understand that history is just a bunch of individual stories. From my experience as student and as teacher, as reader and as writer, I find this so true about the power and value of story-telling. i love how you actually delved into the brain activity. truly brilliant post. 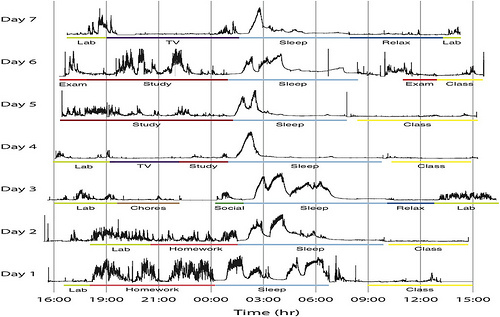 As a university student, I found it quite interesting that brain activity was higher during sleep than during lectures! haha. Although, it is quite challenging in the academic world to present all the research in their fields in the story format, do you think so? So I wonder if the toga clad young men at Socrates feet thought, O lord, another lecture, or – Great a new story? What an Awesome Post! Being a college student, studying engineering and Political Science, I completely agree. I, as my career has progressed, have stopped going to classes as frequently as I used to for precisely this reason. Lectures are boring and slow. I am not challenged nor is my interest peaked which means I don’t pay attention. I now teach myself a lot of the concepts. Teachers really should take this post to heart. Interesting post, thank you. As a business school lecturer newly appointed from industry I was horrified to learn that I had been one of the lecturers chosen for one of her seminars to be assessed by external UK higher education auditors. My report said ‘theoretical content accurate but we suggest that stories from organisational life are not an appropriate means of transferring knowledge to undergraduate students’. I couldn’t understand that then and still can’t understand it! I think too much responsibility is placed on educators to make their delivery engaging; all they have to do is convey their passion for the subject matter and get it across clearly. It is our job, as students, to find a way in – to latch onto something we can take away. If I just going sit there bored, I may as well not show up. So in that sense, we both have a responsibility to make it worthwhile. Thanks for providing the student’s perspective and responsibility, John. My favorite educators knew how to tell a story and connect it to a lesson. I am guilty myself of tangential teaching, breaking into stories to keep myself amused! Now, if only I could tell a story well enough to snag a publisher!